After the success of the Eve's Apples performances at recent MFVFs, this year sees a new collaboration for the Friday night. 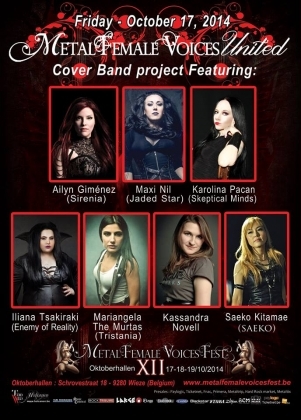 Metal Female Voices United will gather 7 singers on stage who will perform their favourite cover songs. And, a special Opening with "Light of Life ~ An International Benefit Song for the Japan’s Quake Orphans ~ Performed by Saeko.